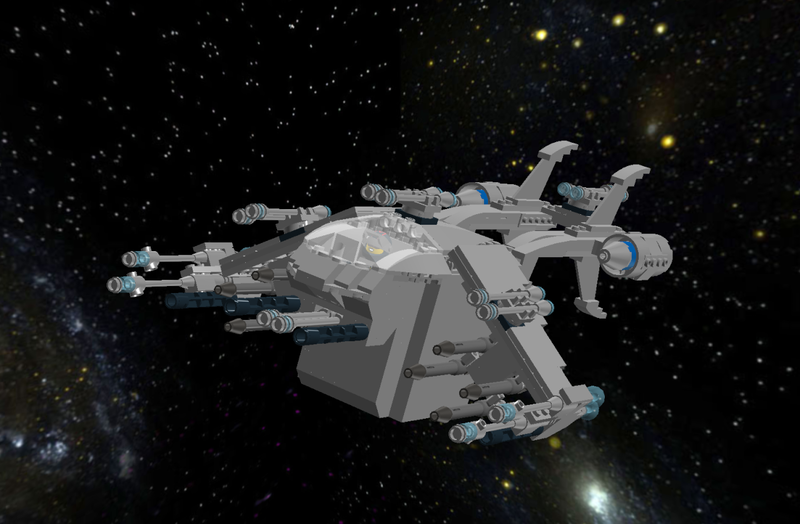 The original Spitfire Class was built by United Star Fighters Incorporated to fill the niche in Star Force a small, durable dropship that was capable of gunning its way into and out of trouble. While armed with a lot of weapons, the Spitfire lacked practicality, especially due to its lack of aerodynamics. Its storage hold was also quite small, so its use in replacing the transporter was also quite limited. That was the original Spitfire.